The Kurdish-led Syrian Democratic Forces (SDF) says the Islamic State group's five-year "caliphate" is over after the militants' defeat in Syria. US President Donald Trump praised the "liberation" of Syria, but added: "We will remain vigilant against [IS]." 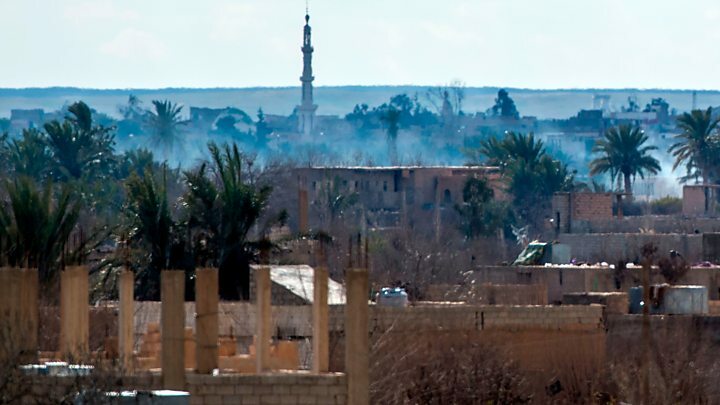 After five years of fierce battles, though, local forces backed by world powers left IS with all but a few hundred square metres near Syria's border with Iraq. On Saturday, the White House released a statement in which President Trump described IS's loss of territory as "evidence of its false narrative", adding: "They have lost all prestige and power." 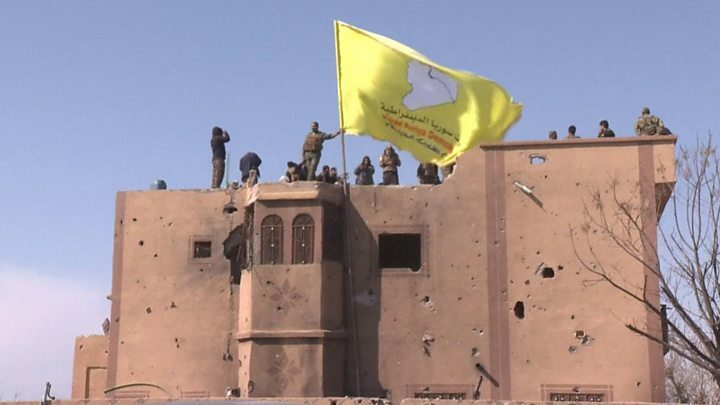 "Syrian Democratic Forces declare total elimination of so-called caliphate and 100% territorial defeat of Isis [the IS group]," Mustafa Bali, the head of the SDF media office, tweeted on Saturday. Media captionIs this the end for Islamic State? Confirming the victory, SDF General Mazloum Kobani said the forces would continue operations against IS sleeper cells, which he said were "a great threat to our region and the whole world". 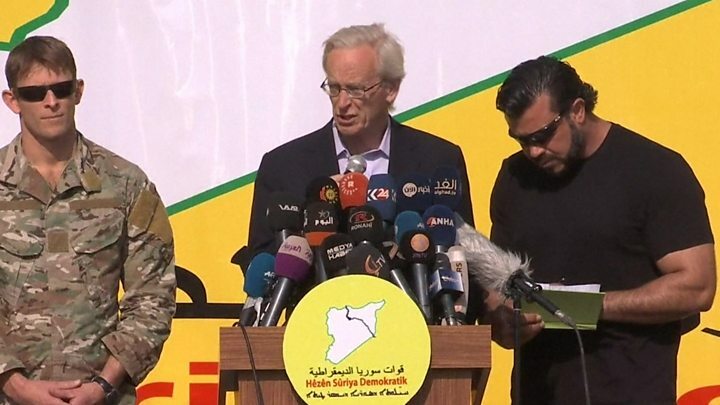 The US envoy to the coalition to defeat IS, William Roebuck, said the news was a "critical milestone", but added that IS remains a threat "in the region, to the United States and our allies". French President Emmanuel Macron welcomed the SDF's announcement, saying a "major danger for our country has been eliminated". UK Prime Minister Theresa May also welcomed the news and vowed to do "what is necessary" to protect British people and others from the threat of IS.